Jim Halpert or Michael Scott? Michael Scott, Jim, Pam, Dwight, Stanley, Phyllis, Darrel, Andy, Erin, Toby, Oscar, Angela, and Kevin. Name a more iconic leader that had twelve people he did life with for years. The Office is an incredibly popular adaptation of a U.K. television (they would call it the “telly”) show in which the employees of the Scranton branch of Dunder Mifflin paper company are staged as being a part of a decade long documentary. At one point, the Regional Manager, Michael Scott and one of his paper salesmen, Jim Halpert, are instructed to shift into subsequent “Co-Manager” roles. In this setup, Michael is manager when it comes to “The Big Picture” and Jim is manager when it comes to the “Day-to-Day” of the office. It’s hilarious – mostly because it doesn’t work out. 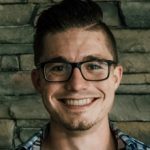 However, it’s also educational because it puts pressure on a internal dissonance that exists within every leader across the spectrum of college ministry. It poses a question to those of us who seek to leverage our lives to elevate and advance the Gospel on college/university campuses – are we Jim Halpert or are we Michael Scott? Are you primarily focused on the “Day-to-Day” or “The Big Picture”? If we’re focused on the day to day, it’s likely that we are the primary drivers of things getting done on the ground. Especially in this kickoff season in the first few weeks of Fall, we are prone to shove our heads deeper and deeper into the weeds of the details. This is good, especially if we are get-it-done people. We’re on the ground, setting the pace, inviting students out, building relationships. This is the FreshTEN, Blitz Week, Mission Trip to Campus driver mentality. We love to work in the ministry. But, is it good to be that day-to-day, ground control person all the time? How do you jump into the air war, if only for a moment or a season, to cast vision? How do you respect the rhythms and ride the waves of the campus and of collegiate ministry? How do you set a strategic focus for the mission that you’re on? How do you engage in the “Big Picture” vision God’s given you for the ministry? Then again, if we’re focused on the Big Picture, then we’re able to see the trajectory of our ministry, of our students, of our conversations. We love the whiteboards and the vision and the culture-creating of the ministry. We are the Leadership Pipeline and strategic planning people. We love to work on the ministry. But is it good to be that “Big Picture” person all the time? How do you step into the Groundwar and experientially engage with what is being accomplished toward the overall vision? How do you lean into the sharpening of your shepherding gifts and know the deep joys of personal, pastoral ministry? How do you incarnate the Gospel as a part of the mission that you are on and are casting vision for? How do you engage in the “Day-to-Day” grind of the ministry within the context that God has sovereignly placed you? Well, perhaps the better question is…do you have to choose? Do you have to be one or the other? In fact, for most of us in our ministry contexts, how can we fight to be both? If I’m in a new ministry, how can I fight to not just be on the ground day after day after day, and actually develop some vision and create culture with the students I do have? If I’m in a growing ministry, how do I fight to spend time on the ground and not just stay in a room with a whiteboard proposing culture and crafting vision, insulated from the everyday mission? If I’m in an established ministry, how do I rightly balance the day to day mission and the big picture vision to lead us to the next level? 1. Honor the way you’re wired. God didn’t mess up by putting the visionary, big picture guy in the new context where he has to step into an on the ground day to day role. He also didn’t make a mistake by putting the ground warrior in the position of general where he or she needs to be focused on culture and vision. Consider any grinding between your wiring and your position as an opportunity to desperately approach God and confess that apart from Him you can do nothing. This feels like a burden, but it could be a blessing to step into a new place of trusting God with how he’s wired you and where he’s placed you. Enjoy the way you’ve been wired, and set the pace for your leaders and for the ministry God’s entrusted you – both by excelling in how you’ve been wired and in modeling reliance on God for the areas you haven’t. 2. Take a step toward your weakness. If you’re an on the ground, day-to-day person, don’t demonize the visionary. If you’re a visionary, big picture guy, don’t dismiss the faithful ground war, day-to-day leader. Look for opportunities to step into the other skill set. Look for opportunities to be in the other room. Look for opportunities to put your head down and go out on campus – especially if it makes you uncomfortable. Look for opportunities to lift your head and look toward the horizon with vision and culture – especially if it makes you uncomfortable. Make your position work for your skill set, but don’t be afraid to take a step toward that which you are weaker in. We like to hang out with people who are like us, and as such like to pull people into our inner circle who are similar to us – we crave congruence in culture and competency. Yet, while this causes one side to grow and develop, it leaves the other out. You could have the dopest vision for your ministry, but if you have no ground game, who will be a part of it? You could have the most beastly ground game, but if you can’t set a trajectory for the ministry, how will you lead the people you’ve encountered? Healthy teams are balanced teams. If you’re more Michael, look for Jims. If you’re more Jim, look for more Michaels. God’s uniquely gifted them to be them, and you serve them and shepherd them well by bringing them into a place where they can honor how they’re wired, take a step toward their weakness, and be on a complementary team. God has placed you – YOU, uniquely created, uniquely gifted, uniquely imaging a unique God who uniquely loves you – where He has placed you, doing what He has you doing, so that He might glorify His name in and through you. Embrace that. God loves and uses the one bent more toward Big Picture and the one bent toward the Day to Day. His Michaels and His Jims are valuable, gifted for a purpose, and called to know Him more and make Him known. So understand and honor your wiring. Continue to grow and develop yourself and your team. And rest in God’s intentionality in creation, His kindness toward you, and His movement through you.